Federal Road Safety Corps Sector Commander in Jigawa, Mr Angus Ibezim, has listed some proactive measures to be taken by drivers during the rainy season in order to avoid road accidents. 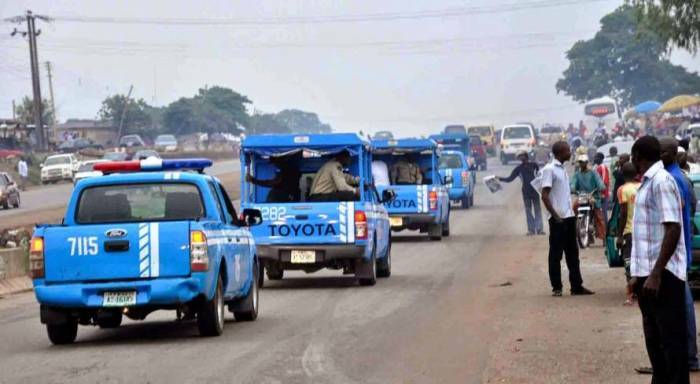 The Federal Road Safety Corps Sector (FRSC) Commander gave the hint during an interview with the News Agency of Nigeria (NAN) in Dutse on Tuesday. “Firstly, drivers are advised to note the preliminaries (Pre-vehicle Use Checks). “That’s to say they should ensure that their vehicles are in good working condition and maintain regular vehicle parade. “Also, commercial drivers should avoid overloading, especially loading of passengers in the boot,” Ibezim said. Ibezim said the other proactive measures to be taken by drivers included low speed, driving in track of other vehicles and keeping moderate following distance. Others, he said, are to ensure that head lamps and wipers are on, pulling-off the road when the rain is much and to ensure that break system is working properly. The sector commander further warned drivers against the use of worn-out tyres, particularly during the rainy season so as to avoid break failure which could lead to road crashes.